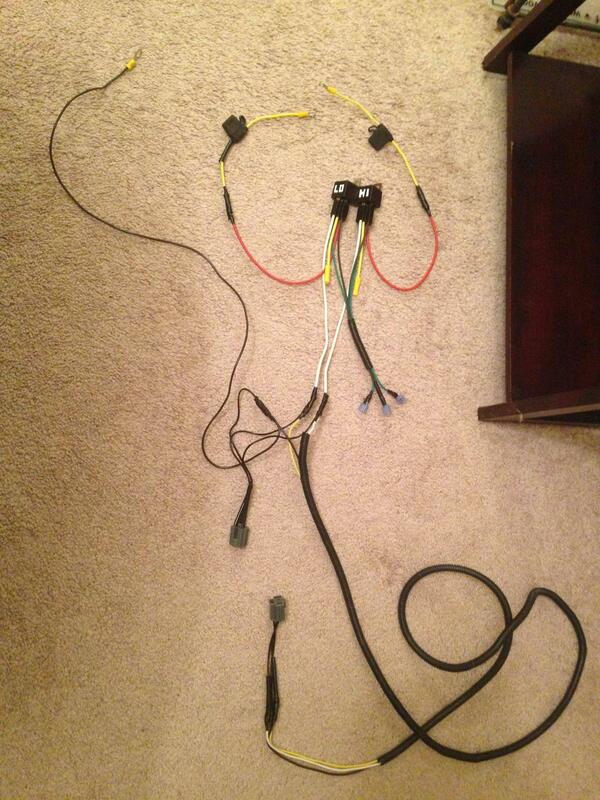 Relaying my headlights... Loom done! Got my loom ready to go and will put it in tomorrow when I have daylight! Here's hoping I did it right!! Re: Relaying my headlights... Loom done! Tape is fine, but I only see half the loom. and I hope you soldered your connections. I crimped and taped. And I think this is the whole loom...? My relays have only one "87" terminal, and the instructions say to combine the two leads if you don't have two "87" terminals... The "87a" terminals can't be used. **edit: oh! This is for single rounds, briano... Maybe that's why it looks incomplete? ***Edit: Just popped the loom in for testing and it works like a charm! And WOW does it make a difference! Even with the engine off my headlights look to be about 70% brighter already! Awesome. I love anything that increases the safety of my cabby! Hey briano, I'm looking up those silverstar ultras, and it seems they are the type that have a separate lamp and housing, yes? Can I get the whole assembly or do I need to buy separately? Also, where can I get a good price on them? Thanks!!! Or just go with the silverstars, it appears that the ultra isn't in a single bulb package yet. Where as the silverstar is 35 percent brighter. The reason that I said the glass lens is that it take more of a beating than plastic, and the ultra bulb shouldn't distort the lens. I had a set of the Plastic lens reflectors, and they did start to "yellow" after a while, whereas glass won't do that at all.